Offers 24-hour supportive and crisis counselling, residency, advocacy, outreach, transition support and sexual assault counselling to abused women and their children. Provides information on abuse, referrals to other services, safety planning and support. OECYC provides confidential counselling services to youth up to 18 years of age and their families. Counselling may focus on violence in the family, behavioural concerns, school or social difficulties, parent-child conflicts, substance abuse, sexuality awareness, parental separation or divorce. OECYC offers parenting programs to assist parents with parenting young children up to their teen years. Believe in Me, a program for children and adolescents exposed to violence in the home, helps them to deal with the effects of their mother being abused. Topics discussed at the weekly group sessions include anger control, conflict resolution and self-esteem. Mothers attend their own support group at the same time. Assistance with transportation can be arranged. Call for more information. A support program for expectant parents and families with children 0-6 years of age. This program is free and uses registered nurses and experienced parents to help parents find the answers they need to give their children a good start in life. CAS provides protection and group treatment services to children ages 0-16 who have been abused or neglected. CAS also operates, in conjunction with the Boards of Education, a school-based Sexual Abuse Prevention Program. A Child Victim Witness Program for children who have been abused provides counselling prior to their presenting evidence in court. The Children’s Aid Society can be contacted on a 24-hour basis. A variety of parenting programs, foster care resource and adoption services are also available. Supervised visits or supervised exchanges can be arranged in cases of unresolved conflict between parents, concerns with parenting ability, extended absence of a non-custodial parent, history of violence in the family, or concerns of a possible abduction. The Domestic Violence Unit investigates offences, assists victims in understanding police involvement, makes referrals to community partners and assists with any concerns about victim safety. Arrangements can be made through the Domestic Violence Unit for Risk Assessments and Safety Planning. The Ontario Provincial Police are available to investigate criminal offences, assist victims in understanding police involvement, make referrals, or to assist with any concerns about victim safety. A crown attorney is available to speak with victims of domestic violence about the charges against their partner, the court process or an other concerns. The crown attorney is available every Friday by appointment at the Woodstock Courthouse. There is no limit on the number of times one can attend but meetings are on a “first come, first served” basis. Legal Aid may be available to assist victims with the cost of a lawyer, depending on financial status and your particular legal issues. A two-hour consultation voucher and list of family law lawyers who take Legal Aid is available through Ingamo Homes, DASO and Family Violence Counselling Program. Family Law Education for Women "FLEW"
Are you having family difficulties? Dealing with issues like divorce, custody or support? Plain language legal information on women's rights under Ontario family law is available in 14 languages and in multiple formats. A provincial toll free telephone service providing victims with notification of release dates and hearings relevant to their offender. Victims can speak directly with a counsellor and must register with the program to receive information. Probation & Parole Officers (PPO) assess and supervise/monitor offenders in the community on some form of community supervision (Probation, Provincial Parole or Conditional Sentence Order). Throughout this process, the victim of an offence is an important and valuable collateral contact. Officers may share with victims some supervision information, the processes of enforcement and the role of the PPO. The main office is in Woodstock with satellite offices in Tillsonburg and Ingersoll one day a week. Transitional Workers are housed at Ingamo Homes and at DASO. Transitional supports are available to women in the community to help overcome barriers to moving on to a life free of abuse. They can meet with women in their own community where necessary. Specialized staff offer counselling, assessments and individualized safety plans for women experiencing abuse in their intimate relationships. Group support and individual counselling is available for women. Groups are offered for children who have witnessed family violence. The program offers specialized group services for perpetrators of partner assault. These are primarily for court ordered clients. Group fees are negotiated based on ability to pay. Non-Court ordered referrals may participate in the program, but must pay the full cost of the program fees. Woodstock General Hospital offers both inpatient and outpatient services. Outpatient services include adult and child mental health services. Clients may make self-referrals or be referred by the family physicians. The services include psychiatric consultation; individual, group, family and marriage counselling. 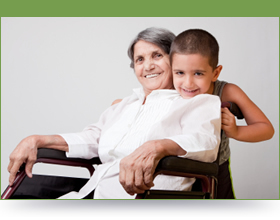 Offers both inpatient and outpatient services. Self-referral or referral by family physician will enable access to the hospital’s services. The services include emergency care in the Emergency Department, inpatient medical-surgical services, and social support on an outpatient basis. DASO offers a wide range of supportive services for women abused by an intimate partner. Services are free and confidential. Trained staff is available 24 hours through a crisis line to assist with safety planning, offer support and referrals or just to talk about the abuse. Individual support is offered in Tillsonburg, Ingersoll, and Norwich by appointment. A weekly women’s group is offered in Woodstock. Long-term support for women who have been sexually abused/assaulted is provided throughout the county. Provincial crisis line provides referrals to local services. Translators available. French-speaking service supporting female survivors of sexual violence. Advocacy, supportive counselling, referrals, accompaniment and public education available. CMHA – Oxford works to promote the mental health of all people and ensure the best possible services are available for adults living with a severe and persistent mental illness to enable them to live successfully in the community. There are 4 components to this voluntary program. Crisis response: Professionally trained crisis support workers are members of a 24 hour mobile team, respond by phone and/or personal contact to all individuals of Oxford County who are experiencing sudden and/or unexpected event that put them in distress. Case management: Professionally trained community support workers provide individualized community-based support for adults with a severe and persistent mental illness. Supportive Housing: Provision of independent living permanent housing via congregate housing and/or individualized apartment units for adults who are homeless. Client choice respected. This housing is supported by CMHA – Oxford at a level corresponding to client’s needs. Court Diversion/Court Support: Provides options/support to individuals with a mental disorder (serious mental illness, dual diagnosis and/or acquired brain injury) who have come in contact with the Criminal Justice System. These options/support require voluntary agreement of the Crown Attorney and individuals involved. Do you know someone who needs to end the abuse in her life? Abuse happens in many ways. We’ve helped thousands of women turn their lives around. If you feel broken emotionally, spiritually or physically, reach out and call. Ingamo Homes has partnered with Village Artisans to help women in their journey "from Broken to Brave". Artisans (mostly women) in India are earning a living wage by creating wearable art such as sari bags and scarves, and other products, employing traditional crafts and methods with an emphasis placed on recycling. These products are sold at different Ingamo functions and community events, and are available at Lily Bear Dance Studio in Woodstock and These Four Walls in Ingersoll. 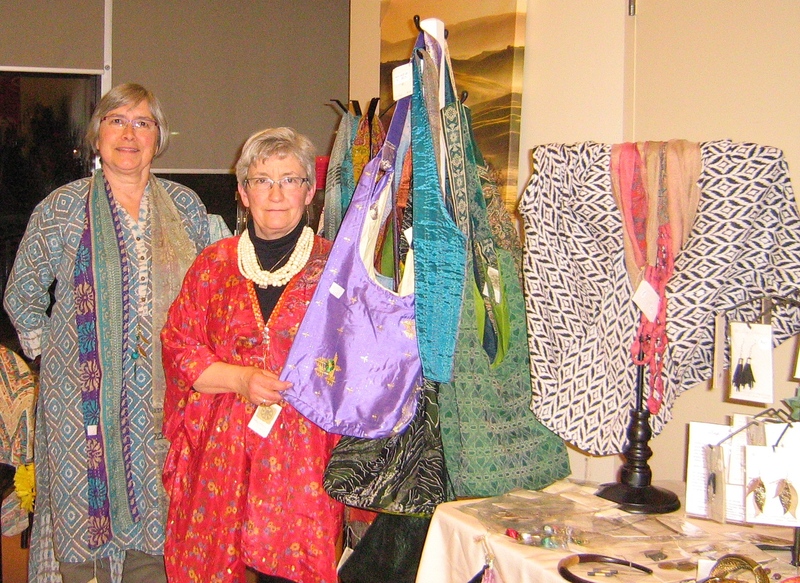 Proceeds from the sales of Village Artisan products here help fund programs for women and children at Ingamo. Words women used to describe themselves entering the program and when they were ready to leave. Broken to Brave – this is what happens at Ingamo.